Attend a grand feast of the bizarre and never look at food and drink the same again! Life is a garish, gruesome, ghastly gourmet! Weird Food dives into the odd, the amazing, and the darkly amusing, covering the long history of our obsession with eating and drinking: Learn the story of the horrifying Black Dinner of medieval Scotland, inspiration for Game of Thrones’ Red Wedding. Be lost in a wintry wilderness with the Donner party, with nothing to eat but each other… Wince at the Danish astronomer who perished after refusing to relieve himself of all the drink he had imbibed. Ask why Socrates, the greatest of ancient Greek philosophers, was forced to drink death in a cup. Wonder at Sir Francis Bacon, who bought a chicken to freeze it, caught pneumonia from exposure, and died; later, it was rumored that the ghost of the chicken returned to the scene of its death… And much more! These are only a few of the weird, dark, and unusual pieces of fact and folklore that simmer, boil, and ferment in the hidden history of food and drink. All kinds of terrible items on the menu, from murder to revenge, from poisonings to cannibalism, prove that our culinary delights, whether for royals or commoners, could be a repast of the damned. Using humor and clear, descriptive narrations, Weird Food serves up these tales in bite-sized chunks, in an educational and entertaining manner. We all love different kinds of food, and this book helps toward the goal of bringing the twisted and remarkable history of nourishing indulgences into clearer focus. Food and drink are not just for survival, they are at the heart of culture and identity. They are the very stuff of life… and sometimes death. 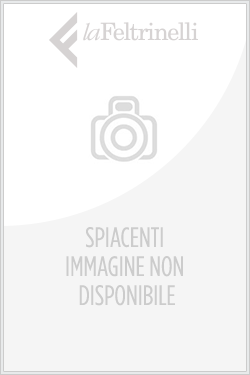 Acquista Weird Food in Epub: dopo aver letto l’ebook Weird Food di Rayborn Tim ti invitiamo a lasciarci una Recensione qui sotto: sarà utile agli utenti che non abbiano ancora letto questo libro e che vogliano avere delle opinioni altrui. L’opinione su di un libro è molto soggettiva e per questo leggere eventuali recensioni negative non ci dovrà frenare dall’acquisto, anzi dovrà spingerci ad acquistare il libro in fretta per poter dire la nostra ed eventualmente smentire quanto commentato da altri, contribuendo ad arricchire più possibile i commenti e dare sempre più spunti di confronto al pubblico online.